If all you’ve ever wanted for Christmas is a motorcycle, but never knew quite where to begin, this could be the year your dream of zipping through traffic finally becomes a reality. 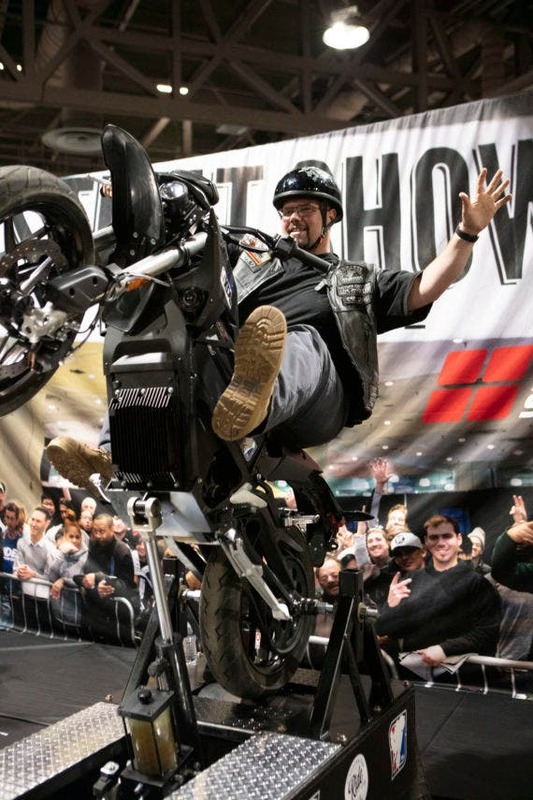 Starting this year, the International Motorcycle Shows (held in the United States) invites you to Discover the Ride. 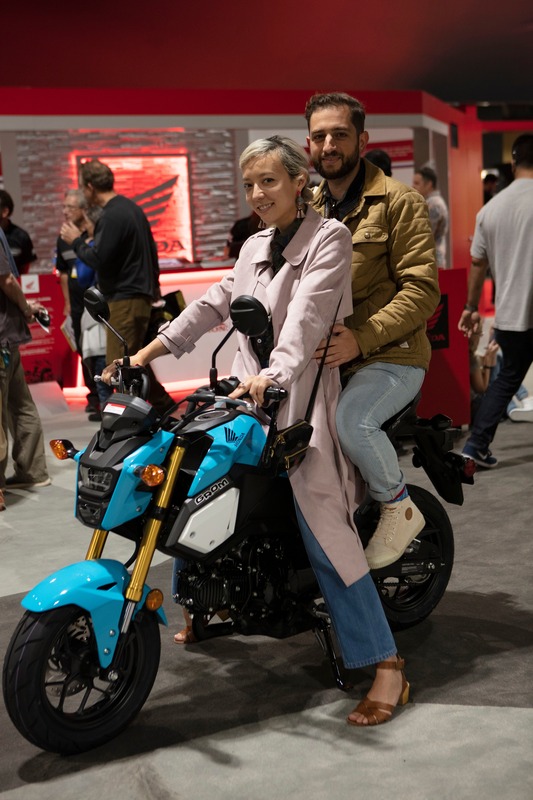 Last year, I told the IMS and Zero Motorcycles that Zero is the perfect vehicle for training new riders, and that they should take advantage of this by offering demo rides on an indoor track at the motorcycle shows. They liked the idea, and now have a fleet of Zero FXS’s governed specifically for new riders available at every show this winter. The motorcycles have their top speed limited to 12 mph and their torque neutered to 3% of the available 78 ft-lbs of torque. Try that with a gas bike, eh? I’ve always said electric motorcycles are the perfect starter bike because they can be governed so easily. All it takes is a swipe on the app! If you’d like to know why the 2018 Zero FXS is this old biker’s favorite motorcycle, read my review here. To show both new and experienced riders just how much fun that torque can be, Discover the Ride also includes a wheelie experience! They had two Zero FXS’s mounted in place so that participants could feel that torque without looping the bikes. One was set up for rider-controlled wheelies, the other one for automatic wheelies. Since I didn’t want to wait in line to do something I can do on my own bike, I chose the automatic wheelie. It was fascinating to feel just how far that front wheel goes to reach a 12 o’ clock wheelie! 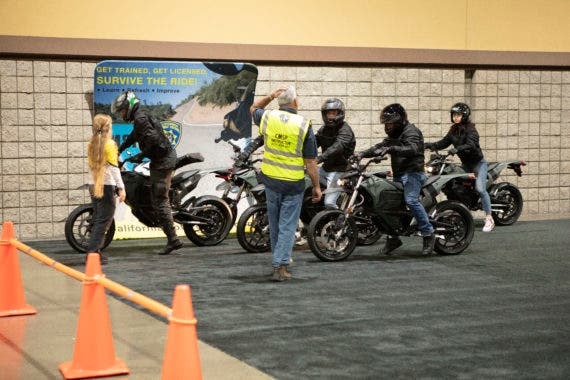 All Discover the Ride participants were treated to instruction from local motorcycling instructors from schools like Total Control Training and California Motorcycle Safety Program. There were also a range of Yamaha electric bicycles available on a separate demo course. And even a course for the kids! They rode Stacyc electric pedal assist children’s bicycles. And as usual, for the licensed riders, there were plenty of other motorcycle brands to test ride outdoors. Oh wait, that’s only at the Long Beach show. You may recall that’s where I took the Harley Davidson Livewire for a spin. Discover the Ride also featured experienced riders giving presentations on tips for new riders. They are working on a video series, “New To 2” hosted by Monique Filips and Jordan Diggs. Both are excellent advocates for motorcycling and do a great job of humanizing what can be a daunting learning curve. Discover the Ride could become a promising way to get more Americans out of their cars and onto motorcycles, ideally electric ones, especially in California, where we can ride year-round and are failing miserably at meeting emission reduction goals, thanks to too many people driving gas and diesel vehicles. We may have bought half a million EVs here, but that’s still 4.5 million shy of Governor Brown’s goal. 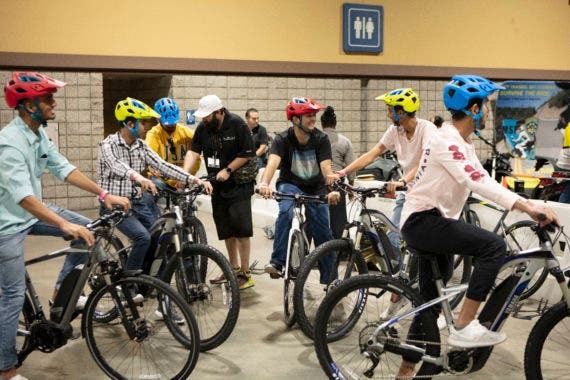 Over the first two shows in Long Beach, California, and New York City, the program had 2,265 adult participants and 483 children (on their balance bike course for the toddlers). Unfortunately, only 406 of those adults were new to motorcycling, but of those 406 people, 73% of them plan to start riding within a year. Hopefully future Discover the Ride events will give preference to new riders, so they won’t be turned off by the long wait to get on a demo bike. 49% of participants were female, so boys, step it up. At the rate female motorcycling is increasing, it’ll be a women’s sport before you know it. We even have women like Ana Carrasco winning world championships against a mostly male field. So, if you want to Discover the Ride, make sure you get to one of the upcoming Motorcycle Shows this winter. It’s the most comprehensive new rider experience there is. Then mosey around the show and be sure to check out the Energica electric motorcycles, which are now ~$6500 cheaper than previous year models, thanks to economies of scale, now that their sales have increased. The Energica Ego is that bike I desperately want but really don’t need…. Well, now that it’s got up to 120 miles range, it just might replace the Yamaha R1 I ride so infrequently that I rent it out on riders share to keep it from rotting in storage. If you’re a licensed rider, there are also a handful of Zero motorcycles available to rent on the site. If you’re not a licensed rider, and want something a lot cooler than an electric bicycle, but classified as such, check out Monday Motorbikes. They won’t be at the Motorcycle Shows, and don’t have a dealer network. But if you can get to LA, you’re welcome to demo one of their bikes. Sign up here.